I like getting up on the tundra this time of year. Normally there would be more snow and wildflowers. Niwot mountain is a relatively quick (less than 1 hour) hike up from near Lefthand Reservoir. Niwot is named after a native Indian chief of the Arapaho. His nickname was Left Hand, probably for obvious reasons. Mount Audubon, in the photo above, is a thirteener, meaning it’s summit is over 13,000 feet in elevation. I know I’ve attempted the summit a couple of times, decades ago. I don’t remember ever making all of the way up. It’s a long hike with a 3,000 foot elevation gain. I’d like to attempt it again this year and cement a yay or nay into my memory. I think if I could stop injuring myself, I’d be in good enough shape to accomplish it. 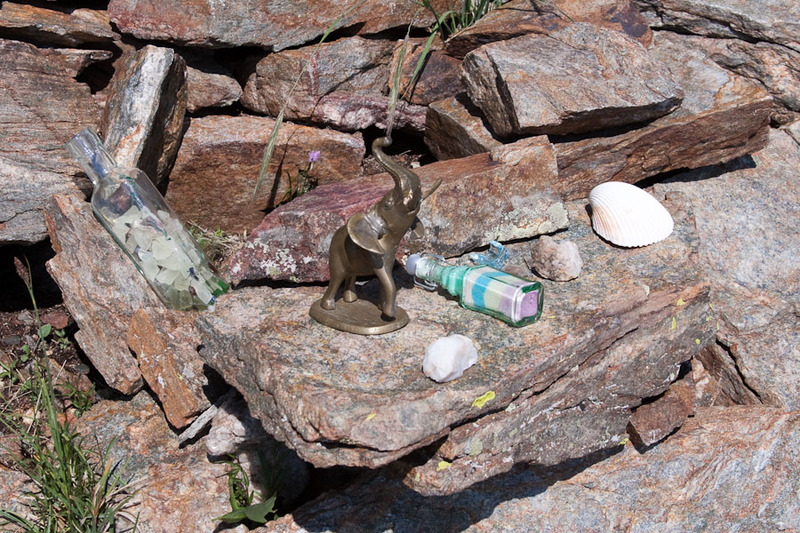 I have mixed feelings when I discover shrines or memorials in conspicuous places along trails or on top of mountains. They’re interesting to look at, but they are selfish when placed at such a public point. There are so many corners of the forests or on the sides of mountains that would be more appropriate. But claiming a major mountain top as your own is simply self-centered. I like to hike, not to say I’ve done it, but to see what’s on the other side. Really, it’s this weird compulsion I’ve always had. Though I’m sure there’s some psycho babble reason for it, to me it’s as simple as just wanting to see what’s over the next rise, hill, or mountain. 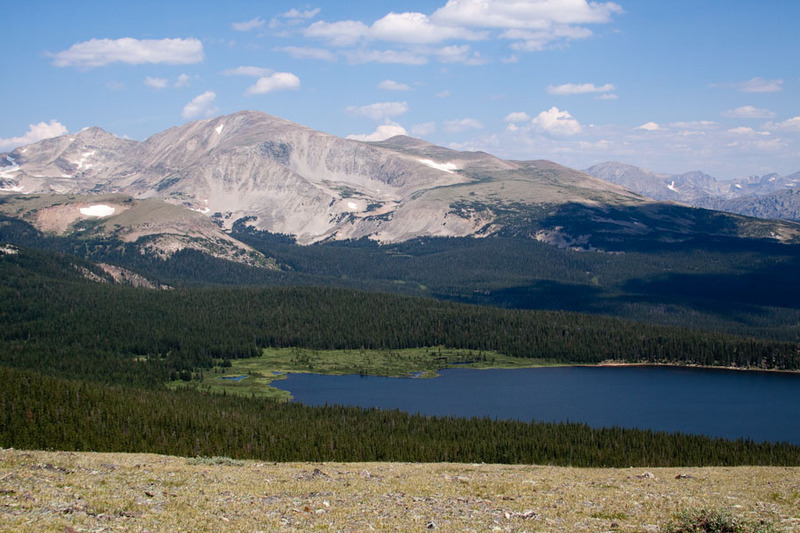 And speaking of mountains: I love that photo of Mt Aububon and the reservoir–so peaceful and pristine. I’m pretty much the same way. Most of the time hiking is about exploring or revisiting places I’ve previously discovered. I’m rarely a peak bagger. But in the case of Mt. Audubon, it’s calling. I totally hear you about enjoying the tundra this time of years. Those are great shots. I’d get defensive about shirnes in the hills because my mother’s ashes are up on Waldorf, but I doubt the prayer flags I left there stayed much more than a month. I had guessed you and I would disagree on the shrines. I remember coming across a shrine on the hillside across from where you live. I don’t remember exactly where it is, but it was off the trail. I didn’t mind that one because it was in its own special place that only those in the know would find. But when someone commandeers a rock shelter built by other people, for other people, on a popular summit, for their shrine, I take minor umbrage with it because it’s selfish.